Non Woven Bags +91 8042757477 Surya Laxmi Industries is one of the reliable and trusted enterprises of eco-friendly custom D Cut Non Woven Bags, U Cut Non Woven Bags, W Cut Non Woven Bags, Loop Handle Non Woven Bags, Laminated Non Woven Bags, Designer Non Woven Bags, Customized Non Woven Bags, Non Woven Shopping Bags & Non Woven Laundry Bags. Being the fastest growing company in Delhi (India) with over seven years of immense experience in the industry; we are specialized in developing a huge variety of reusable shopping bags. These bags are customized as per the specific requirements and emerging demands of our esteemed clients. We fabricate bags that are reliable, lightweight, highly efficient, durable, easy to recycle, liquid resistance, dehumidifying nature and can bear heavy load with ease. Moreover, all our bags are highly appreciated in the market and are in great demand among our clients because of their superior quality and affordable cost. 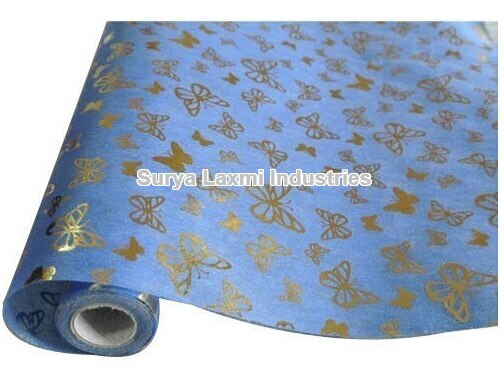 Surya Laxmi Industries Best In List Of Non Woven Fabric Manufacturers, Suppliers, Dealers And Exporter In Delhi NCR, Noida, Gurgaon, Ghaziabad, India, Non Woven Fabric Roll Of Any Size manufacturer In India, Printed Non woven fabric, Lower GSM U Cut Non Woven Bags Raw Material Manufacturers Suppliers Dealers Trader Wholesaler Stockist In Delhi India, 20 GSM U Cut Non Woven Bags, Elight Non Woven Carry Bags In Delhi India, Elight U Cut Bags Manufacturers Dealers Suppliers In India, Elight D-Cut Bag Manufacturers Dealers Suppliers In India, Non Woven bags Cloth Suppliers manufacturers In India, Non-woven bags exporter, Supplier in Delhi India, Non Woven Medical Disposable Manufacturers Suppliers Exporter In Delhi NCR India Like Face Mask, Bouffant Caps, Medical Gowns, Shoe Covers, Non Woven Bed Sheets, Pillow Covers And Many More Items Used in Medical Industry, PP Printed Non Woven Fabric, Laminated, Exporter Surya Laxmi is one of the leading manufacturer Supplier of Printed Non Woven Fabric Bag Manufacturers in Delhi, Mumbai, Pune, Ahmedabad Gujarat Uttar Pradesh ( UP ) Madhya Pradesh ( MP ) Agra Lucknow, Indore Varanasi Bhopal Bihar Patna Nagpur Kanpur Jaipur Rajasthan Chandigarh Ludhiana Amritsar Punjab, Ranchi Kolkata Dhanbad Assam Guwahati Dehradun Haridwar India.